Beginning in early April 1986 the people in and around the little known Chernobyl Nuclear Power Plant began to experience a series of strange events revolving around sightings of a mysterious creature described as a large, dark, and headless man with gigantic wings and piercing red eyes. 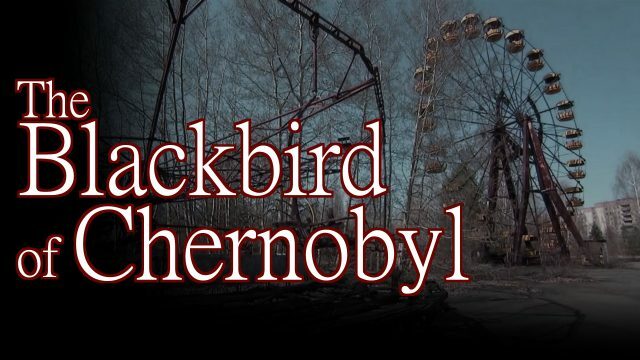 People affected by this phenomena experienced horrific nightmares, threatening phone calls and first hand encounters with the winged beast which became known as the Black Bird of Chernobyl. 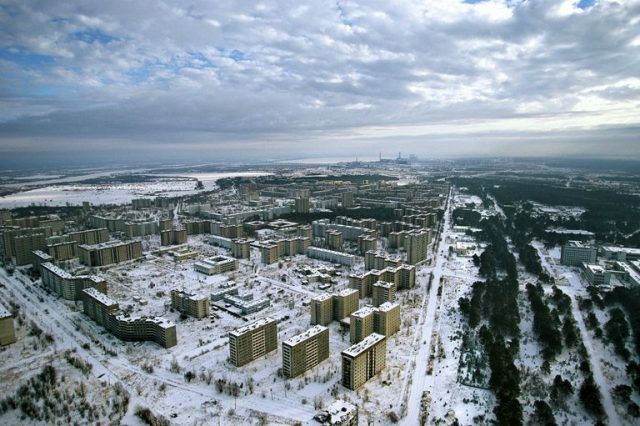 Reports of these strange happening continued to increase until the morning of April 26, 1986, when at 1:23 am, reactor 4 of the Chernobyl Nuclear Power Plant experienced a catastrophic steam explosion that resulted in a fire which caused a series of additional explosions followed by a nuclear meltdown. 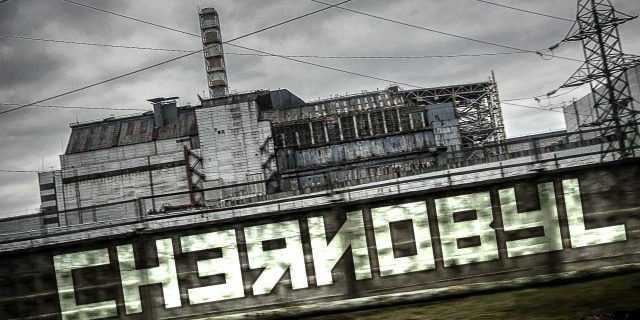 The power plant, located near Pripyat, Ukraine, Soviet Union, spewed a plume of radioactive fallout which drifted over parts of the Western Soviet Union, Eastern and Western Europe, Scandinavia, the UK, Ireland and eastern North America. Large areas of Ukraine, Belarus and Russia were badly contaminated, resulting in the evacuation and resettlement of over 336,000 people. The Chernobyl Disaster, as the incident was dubbed, is considered the worst accident ever in the history of nuclear power. In the days before the tragic occurrence several Chernobyl employees had reported seeing a large, dark/ black shape like a headless man with gigantic wings and red, fire-like, eyes. As with the appearances of Mothman, people who had seen the phenomena had been having nightmares and some received strange phone calls. Some of the employees reported the strange things to their supervisors at the plant. Following the meltdown, and subsequent explosions and fires, Soviet helicopters were dispatched to the scene, equipped with special fire fighting gear, these helicopters circled the plant dropping clay, sand, lead and other extinguishing chemicals on to the burning facility. Most of the fire was put out by 5 am with the fire burning with in reactor 4 continuing to blaze for several hours after. The firefighters who responded were unaware of the nature of the fire, assuming that it was simply an electrical fire, and received masses overdoses of radiation leading to many of their deaths, including Lieutenant Vladimir Pravik, who died on May 9, 1986. The workers who survived the initial blast and fire, but would later die of radiation poisoning, claimed to have witnessed what has been described as a large black, bird like creature, with a 20 foot wingspan, gliding through the swirling plumes of irradiated smoke pouring from the reactor. No further sightings of the Black Bird of Chernobyl were reported after the Chernobyl Disaster, leaving researchers to speculate just what haunted the workers of the plant during the days leading up to the disaster. The most commonly accepted theory suggests that the Black Bird of Chernobyl may have been the same creature spotted in Point Pleasant, West Virginia leading up to the collapse of the Silver Bridge on December 15, 1968. Investigators have suggested that the appearance of this creature is an omen of disasters to come in the area in which it shows itself. The physical description of both the Black Bird of Chernobyl and the Mothman, the creature sighted in West Virginia, are very similar, and the reports of nightmares and threatening phone calls leading up to these disasters are shared in both cases. A second, less accepted theory, suggests that the Black Bird of Chernobyl was nothing more than the misidentification of the black stork, an endangered species endemic to southern Eurasia. The black stork stands nearly 3 feet tall and has a wing span of nearly 6 feet. This theory however fails to take into account the menacing phone calls and the the disturbing nightmares. Also the physical description given by the majority of eyewitnesses who actually saw the Black Bird of Chernobyl does not in anyway match the physical appearance of the Black Stork. Both the Black Bird of Chernobyl and the Mothman have not been sighted since there respective disasters, leaving us with many unanswered questions. All we can do is wait for the beast to show itself again and give us a chance to figure out just what it may be, unfortunately it would appear that for this creature to show up again we will have to anticipate some form of disaster in the area it has selected to appear.